Hi everyone! How are you today? The past weekend, I went out with my friend to downtown Toronto and we had a wonderful time. We visited St. Lawrence Market, Distillery district as well as the harbor front center. Out of all the places we visited, I love Distillery district the most. I snapped a few photos while I’m there, hope you enjoy! Didn't do much at the market, although the burrito was amazing! 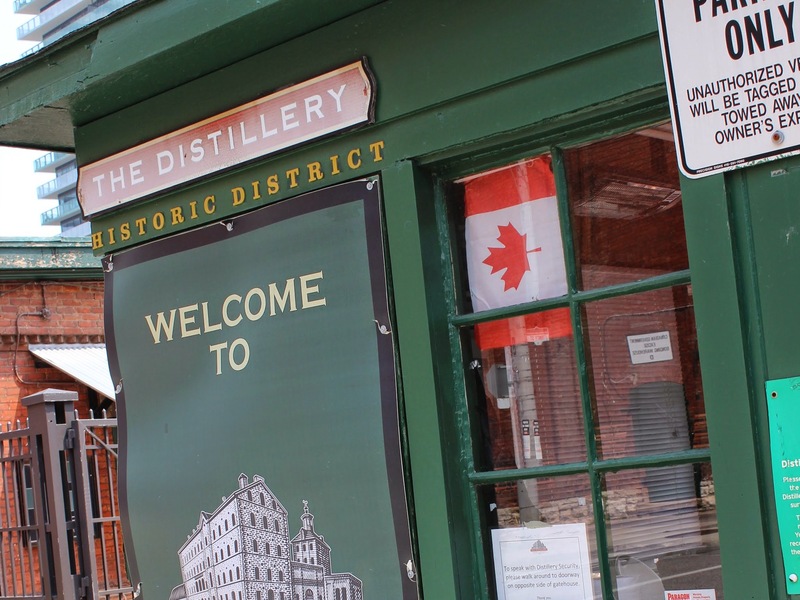 Distillery district is located east of downtown Toronto, it’s a historical site as well as an entertainment spot for the locals. During the time we visited the place, there was an arts and crafts show going on so there were loads of vendors selling handmade products. Everything was so unique, it was a great experience compared to my usual shopping mall trips. My favorite was definitely this vintage store, there were typewriters, old mason jars, chandeliers, etc. I was in a vintage heaven. Another great memory was this cute little patisserie, my friend and I each ordered a cup of ice cream, mine was lavender and hers was earl grey. The ice cream was beautiful! It has the perfect texture, not too creamy or watery, and the lavender scent was so different, I absolutely loved it! We also visited this chocolate factory, it carries some very interesting flavors, like this roasted white chocolate bar. Later that day, we also went to Chinatown and had dinner at the dumpling house based on a friend’s recommendation. We ordered pork and cabbage dumplings, as well as sour and sweet soup (ugh, why does everything sound so odd when translated from Chinese), they were both super delicious! Great photos!! It looks like you hit up some of my favourite places in the city too! I love market places like these! They always make me feel a bit like Im back home in New Orleans!